Their qualitative make with the most modern methodology, examining and verifying quality at every stage of the production. The finely stranded copper conductors of our Heavy duty cables have excellent flexibility as well as strength. The submersible cable have excellent resistance to oils & grease, chemicals, impact & abrasion as well as weather.Our cables are chosen for their excellent electrical properties. These are trusted and applied in industrial cabling, for agriculture as well as sewage pumping. 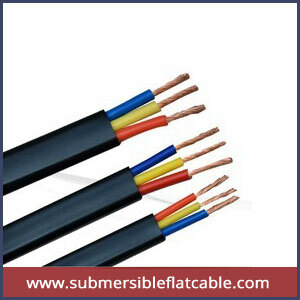 Our submersible flat cables are tested and confirmed for their quality and we offer them at very affordable prices.